Harry N. Abrams, 9781419717901, 400pp. Matt Zoller Seitz is the television critic for New York magazine and the editor in chief of RogerEbert.com. He is the author of The Wes Anderson Collection and The Wes Anderson Collection: The Grand Budapest Hotel. He lives in Brooklyn. "...it’s the must-have movie book of the fall...It’s a film school in book form – enlightening, entertaining, and essential." “…definitive…everything you could possibly want to know about the filmmaker." ". . . this lavish, beautiful book is as much a piece of serious criticism as it is an expression of pure movie love." 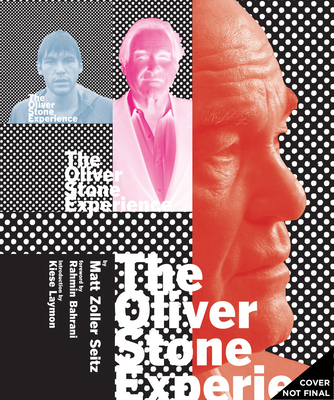 "Jammed with lengthy Q&As with two-time Oscar-winning director Oliver Stone, as well as news clippings, scripts, rare photos, and memos, Matt Zoller Seitz's 480-page book is, like the filmmaker and his movies, obsessive and captivating."